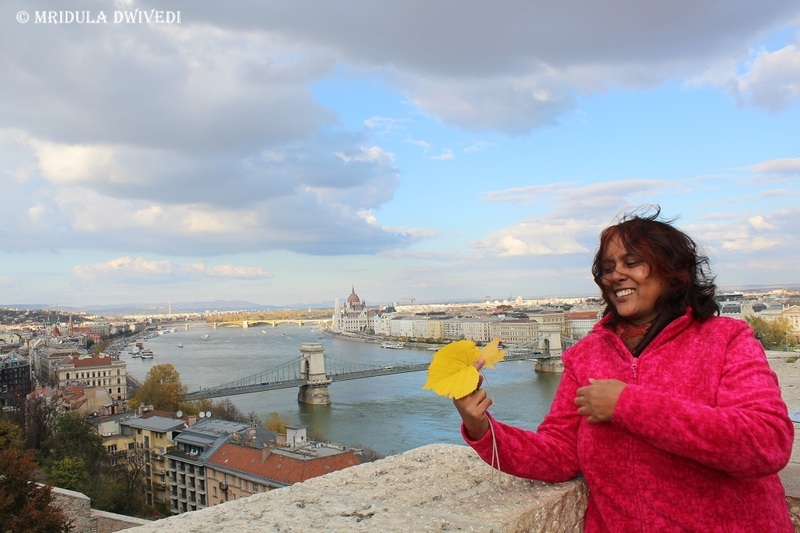 I dragged my sister, Alka Dwivedi, on a vacation to Budapest with a transit in Rome. I had to use every trick in the book to make her travel, I told her she was going with me this year even if I had to kidnap her! Here is her account of our travel to Budapest! She has been off the mark before me! Read her account below. For a long time, we have not gone out for a holiday. 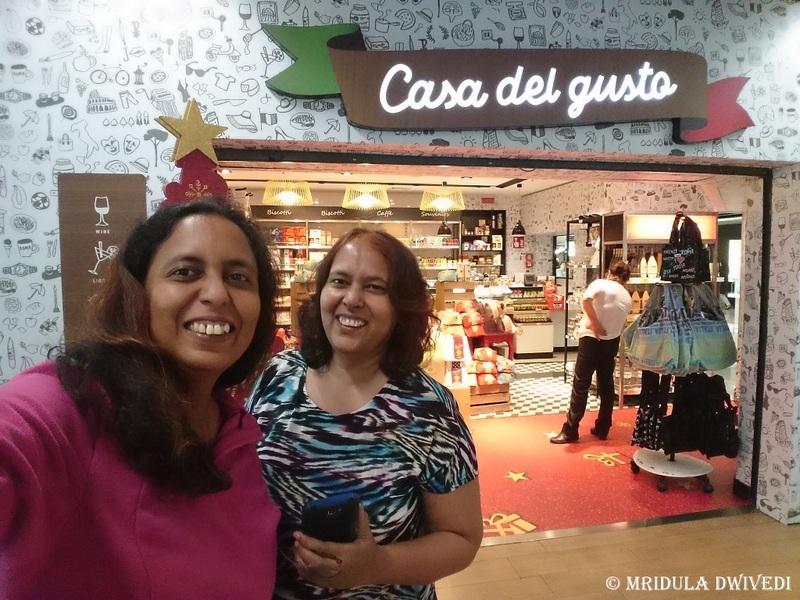 So, when my sister, Mridula, offered me to take on a holiday, I was quite happy. I was going out on a holiday with her for the first time in my life, leaving my daughter and hubby home. It was also my first visit to Europe. When I reached IGI airport, and my sister joined me shortly, she took me to the immigration. The line there was R-E-A-L-L-Y long and resembled a jigsaw puzzle. When we landed at Rome airport after clearing immigration, I was hungry. And my sister fished out a tiffin from her bag that contained aloo parathas!! I can’t tell how delicious they tasted, sitting in a foreign land, surrounded by foreign chatter, there was something that is familiar, comforting and tasty too. Next we tried to visit Colosseum, we went out because our flight was in the evening. We reached Roma Termini, by train. But we couldn’t get metro tickets as there was again a long line. We tried to reach Colosseum by foot but without Google map, we chickened out after a while. 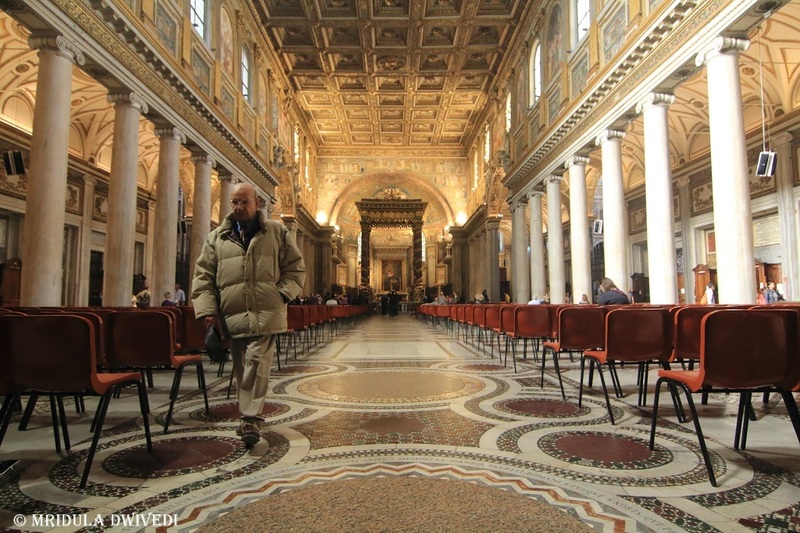 Instead we visited a beautiful church near Termini, known as Basilica di Santa Maria Maggiore. It was magnificent. When we reached back airport for our flight to Budapest, I came across an interesting phenomenon. Out flight was packed and full. And there was not much difference between travelling in Delhi metro and that flight. I will not elaborate here. ? 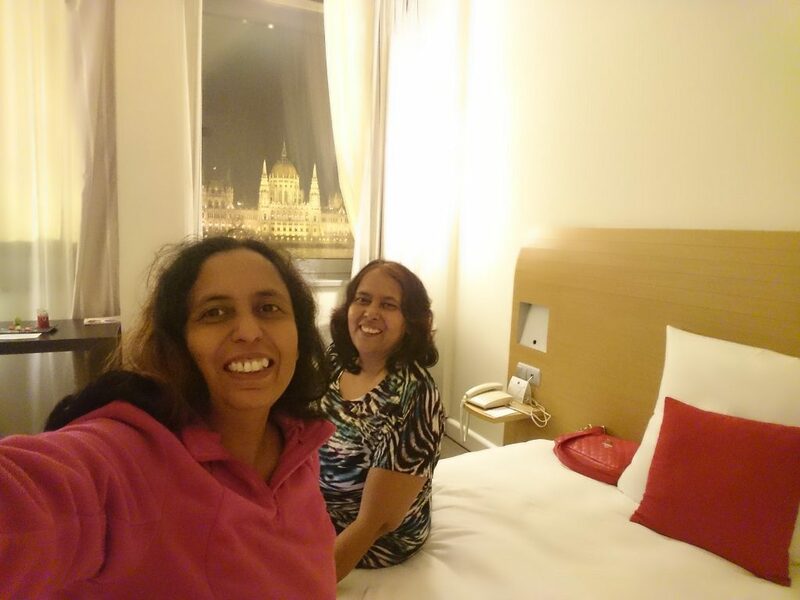 When we landed in Budapest, my sister hired a taxi for Novotel Budapest Danube hotel. It was almost a half an hour ride and taxi guy was quite courteous and polite. When we reached hotel, we saw out of window and almost cried in unison, “WOW! 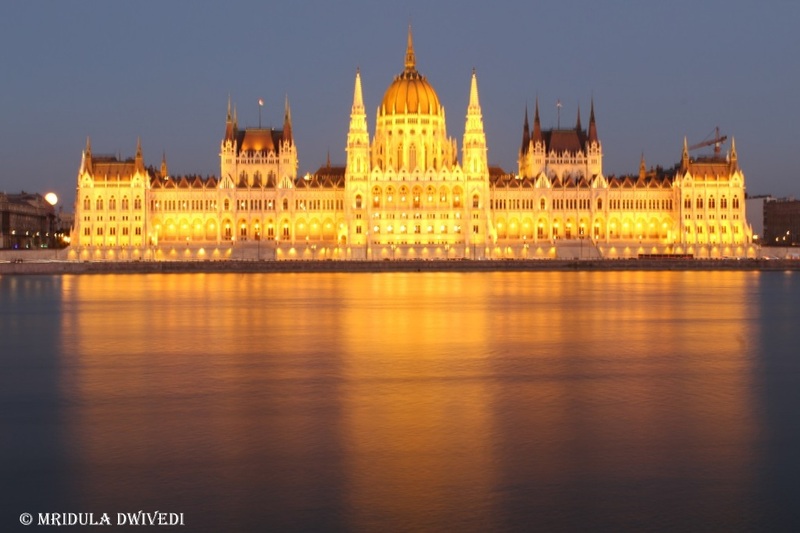 !” It was really a wow, the view out of our window with river Danube flowing gently and Budapest tallest and magnificent, Parliament Building. It was lit brilliantly and its reflection in the river was awesome. So by default our next day visiting spot was this building, which is the pride of Budapest. Though no one said that to me, but if I ask around, my assumption would come true. 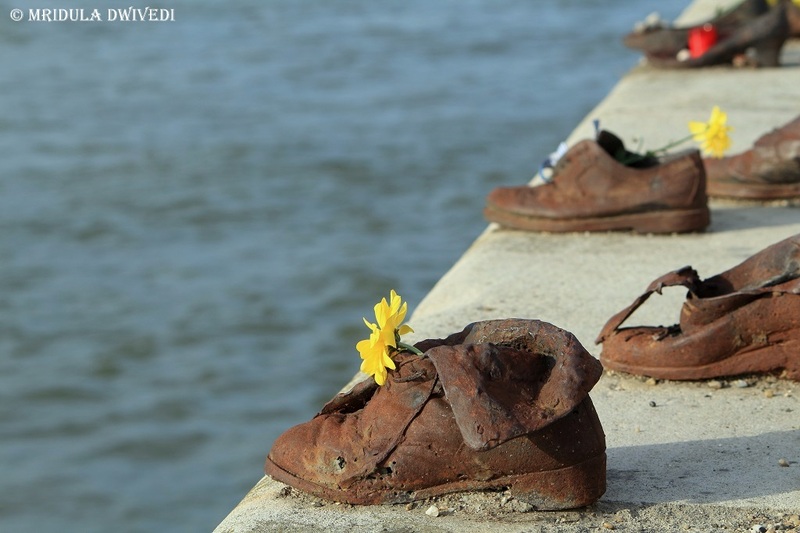 We also saw, ‘Shoes on Danube’ and it is a sight of holocaust atrocities. You will see many pair of rusted shoes made of iron. Here people were shot by firing squad and their bodies fell in the river Danube leaving no trace. But sculptors Gyula Pauer and Can Togay had created a heart rending monument for holocaust victims. People still leave candles and flowers on this sight. 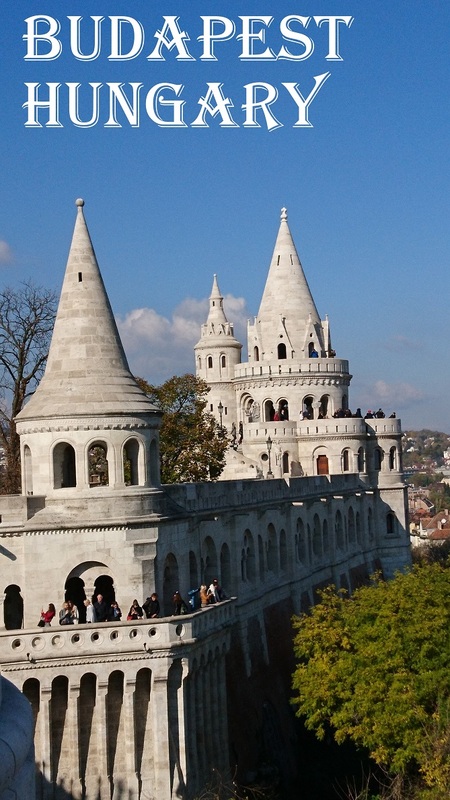 We also visited, Fisherman’s Bastian, Buda castle, Széchenyi thermal bath, Heroes square, Margret Island, St. Stephen’s Basilica, Great Market Hall and Gellért Hill. We didn’t have much trouble finding vegetarian food but don’t know why they don’t like their food, hot like us. It was mostly served warm. 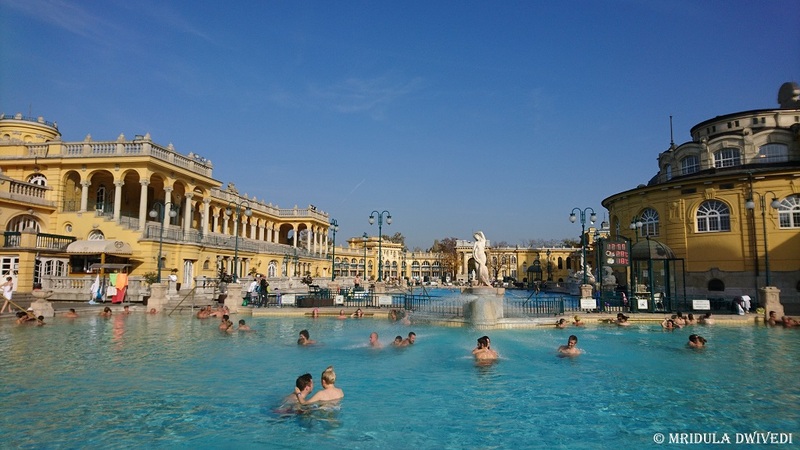 If you are visiting Budapest, please do visit Széchenyi thermal bath. It will not just send a warmth to your body but to your soul too when you will see how elderly people walking with difficulty or with cane or crutches are enjoying life with friends, sipping beer or wine and playing chess sitting in the pool. I loved the exercise pool full of senior citizens exercising in the pool, imitating the actions of the young, beautiful and superbly fit instructor. In short, I had a fantastic holiday. Wish to take many more with my sister and family. 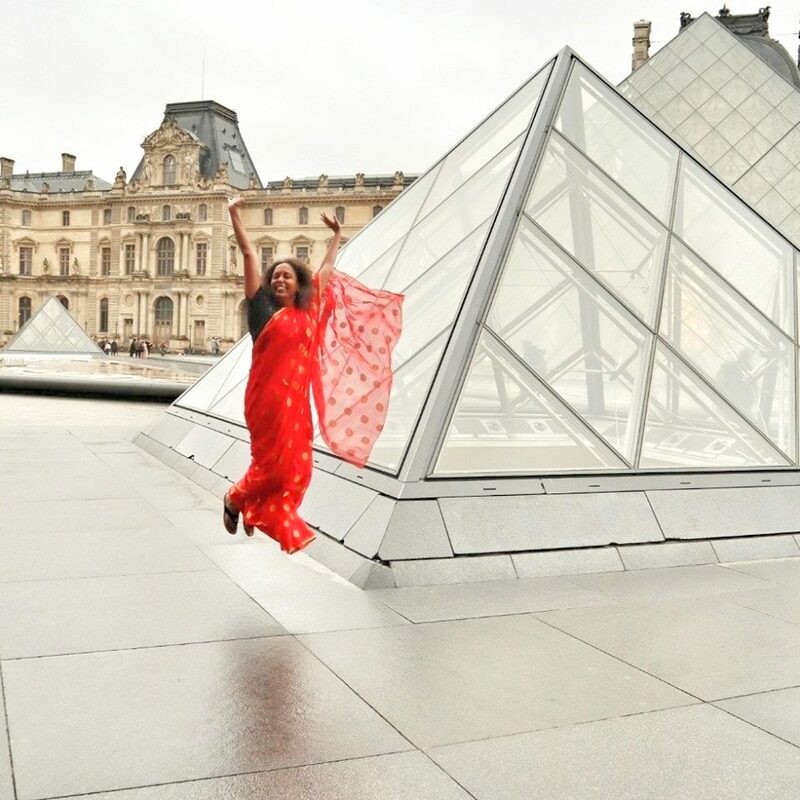 Mridula Mam: Whenever next time we travel together Alka Mam has set the expectations for all your blogger friends ? A very interesting post with magnficant pics particularly the parliament building, Your sister has written the post pretty well- Perhaps she also should take to blogging…..
She is the one who got me to blogging Rajeev! Loved the post.Beautiful place. Awesome pics . You will like it too, keep in a few days and you might enjoy more, also suited for couples! We also saw, ‘Shoes on Danube’ and it is a sight of holocaust atrocities. You will see many pair of rusted shoes made of iron. Here people were shot by firing squad and their bodies fell in the river Danube leaving no trace. But sculptors Gyula Pauer and Can Togay had created a heart rending monument for holocaust victims. People still leave candles and flowers on this sight. Very interesting piece of History . आप सब को ब्लॉगर बनाकर मानेगे मृदुला जी , पहले दोस्तों को और अब अपनी बहन को 🙂 अल्का जी आपसे बड़ी हैं ?? It is the other way round, she made me a blogger! 😀 Yes Yogi she is elder to me! Veidehi thank you, yes I guess after a while we just get used to things! Thank you Gayathri, we had a good time! Shoes on Danube is something which has always fascinated me one day some day I wish to see it. I am sure you will go there one day and soon Ruby! Loved reading Alka’s version of the trip. Had read Alkaji’s blog years before but lost connection when I was away from blogging. Ha ha that gives me motivation to write! Aloo parathas!! Wow… Most Airlines don let you carry food… Or.. Am i missing something? In the cabin luggage? Why not? I wonder what am I missing?